NO MICRO-BEADS, NO SYNTHETIC FRAGRANCES -- ONLY ORGANIC & NATURAL INGREDIENTS. QUALITY MANUFACTURED IN THE USA: Our sugar scrub is made from just the best organic and natural ingredients with which to nourish your skin. Ingredients include Cane Sugar, Organic Virgin Coconut Oil, Vitamin E and Organic Need Seed Oil. Our natural and organic skin care products are manufactured in the USA with US and imported materials. FIGHT SIGNS OF AGING: Vitamin E oil is known for its ability to prevent and lessen wrinkles as well as moisturize and brighten the skin. Rosemary Leaf Extract is rich in antioxidants and slows down the effect of aging on the skin and it tightens loose and sagging skin helping it to appear more firm and elastic. TREAT AND PREVENT STRETCH MARKS, ECZEMA, AND ACNE: Coconut oil reduces itchiness and dryness of eczema; helps to heal damaged skin cells and replacing them with new healthy ones. It also can help prevent and soften stretch marks, resulting in more supple skin. Rosemary Leaf Extract has powerful disinfectant and antibiotic properties which can help to treat acne and other skin conditions. GIFT IDEAS FOR ALL OCCASIONS: Mothers Day, Anniversary, Thank you gifts, Graduation, Baby Shower, Women, spouses, best friends, spa baskets, holidays and so much more! Who doesn't love receiving the best skin care products? We certainly do! VEGAN AND CRUELTY FREE: Our sugar scrub has not been tested on animals and is free of animal products. 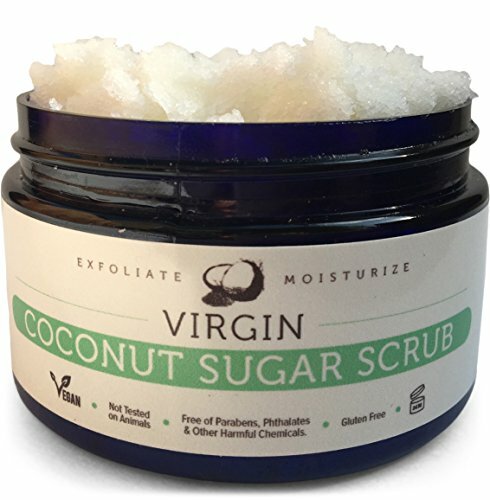 Our Virgin Coconut Sugar Scrub leaves your skin smoother and softer – like a baby’s bottom. - Do you want silky soft and glowing skin? - Do you find other scrubs either do not moisturize enough or leave your skin too greasy? - Are you tired of scrubs with overpowering fragrances? - Don't like the idea of covering your skin with synthetic chemical ingredients? - Do you end up losing large amounts of scrub on the shower floor due to all of the oily goo? 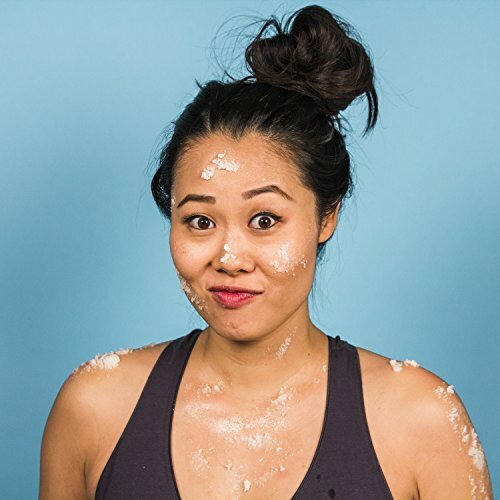 Introducing our luscious Virgin Coconut Sugar Scrub, by Sweet Lincoln, to the rescue! - No more oily goo! because it smells so darn good. If you are not completely satisfied, return for a full refund of your money - guaranteed. Who doesn't like the feeling of being in a tropical paradise? Pamper yourself now!